Mexico recently stepped onto the world stage, and this time it was for all the right reasons. It’s no secret the headlines don’t do Mexico many favors, but perhaps the tides are turning. Perhaps there will be some much needed focus on the good news in Mexico… because there IS good news… and lots of it. I recently returned from a trip to the Riviera Maya for the WTTC (World Travel & Tourism Council – www.wttc.org) inaugural Regional Summit of the Americas event, which celebrates the economic and social contribution of Travel & Tourism in a particular region (but also addresses the real challenges the industry faces). This was significant for Mexico on many levels, but primarily because it brought together world and industry leaders who understand the importance of tourism. Tourism defines Mexico, and even in times of trouble, it is this industry that continues to soar and continues to elevate their economy. Travel & Tourism sustained a total of 6.3 million direct, indirect and induced jobs in Mexico in 2011. And for every US$1 million spent on travel and tourism, it generates a further US$1.5 million to the Mexican economy as a whole, as well as 66 jobs per (compared to an average of 42 for all sectors). The Travel & Tourism industry generates more jobs than all other sectors considered – double that of the automotive industry, twenty times that of mining and six times that of the financial services sector. The very fact that something as prestigious as the WTTC would host an event in Mexico is also sending a powerful message to economies of the world… Mexico is here to stay and is a global leader in tourism. Having been to countless tourism events hosted in and by Mexico over the last 20 years, this was by far the most productive and forward thinking of the bunch. The WTTC has spearheaded global analysis of the economic impact of Travel & Tourism for over 20 years, and is dedicated to measuring the influence of this sector to the GDP (gross domestic product), income and employment in 181 countries. So to have Mexico stand tall amongst this crowd is indeed an accomplishment. Unlike some events I’ve attended on tourism, this felt very intimate and real, not to mention the laundry list of heavy-hitters on the discussion panels and in attendance. The Summit was co-chaired by WTTC President & CEO David Scowsill and was highlighted by speakers like President Calderón, the Mexico Tourism Secretary, Gloria Guevara, Taleb Rifai, Secretary General of the United Nations World Tourism Organization, WTTC Chairman (and Chairman of the Executive Board of TUI AG-Europe’s leading travel group), Michael Frenzel, film director, actor and environmentalist Robert Redford, and the Mexican billionaire businessman and philanthropist Carlos Slim. They all touched on (to varying degrees) the strength of Mexico’s economy. Stats show the Mexican economy has been growing at a sustainable rate of 3.5-5.5% over the past three years, numbers that President Calderón was more than happy to boast about (and I don’t blame him). Both Calderón and Secretary Guevara drilled it down to the direct industry GDP of Mexico’s Travel & Tourism, noting this particular sector expanded 58% between 1990 and 2011, while the total economy expanded 72%. Based on further data compiled by the WTTC, that number is expected to grow at an annual average of 4.4% over the next decade. Those are powerful, positive numbers for not only Mexican destinations, resorts, airlines and tour operators, but compelling news for those in the travel business worldwide. It’s also a testament to the success of tackling security issues head on. It’s clear that Mexico’s efforts to educate the travel audience are gaining a foothold, and tourists are believing and understanding the message. And with an election just months away, a new president and a new administration will undoubtedly keep the ball rolling. With the endless negative press about Mexico, you have to dig deep in the news to find the good stuff. But here, in this arena, at a global event, the good news seemed to finally be in spotlight. I felt lucky to have been a part of all of it and to have had the rare opportunity to learn from world and industry leaders. Keep in mind the reality of Mexico’s image problem, safety issues and other challenges weren’t pushed aside, but the panel discussions here were geared to be part of the solution. As a journalist, tourist and traveler, I embraced a forum that really addressed Mexico’s (and the world’s) position on tourism and its extraordinary impact on economies of all scales. * This article was originally published on www.mexicotoday.org. Click for all Mexico’s current news. 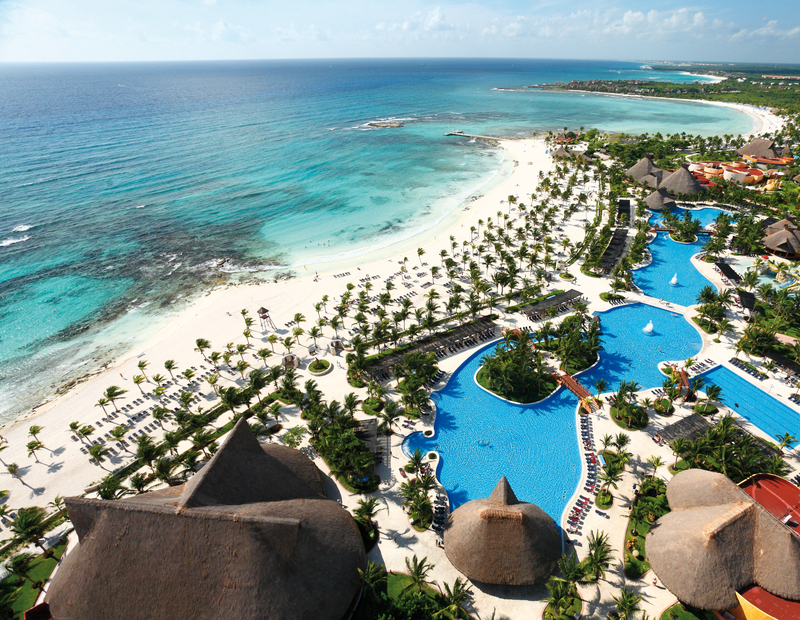 PR Newswire , Aug. 8, 2012 /PRNewswire/ — From vegetable gardens and green houses to a water purification plant, the Barcelo Maya Beach Resort in Riviera Maya, Mexico, is committed to the ecological preservation of its vibrant landscape. With that pledge, the AAA Four Diamond, all-inclusive resort is also dedicated to inspiring guests to embrace environmental sustainability practices by sharing its methods and operating standards. White sand beaches, deep green foliage, bright flowers and crystal clear waters are hallmarks of the Riviera Maya that Barcelo Maya Beach Resort is dedicated to sustaining and but growing for current and future guests to experience. “We are deeply committed to our reputation as an eco-friendly vacation destination and our responsibility to preserving the stunning scenery of Riviera Maya,” said Claudio Zboznovits, vice president of Barcelo Hotels & Resorts sales and marketing in the U.S. During sea turtle season, May – October, the resort protects nesting sites with a wire fence and post signage to inform guests about the sea turtles. Once the eggs hatch, guests are encouraged to participate in the release of newborn turtles on the beach. Guided by Maya’s onsite environmental team, participants can assist the native loggerhead and green sea turtles make the journey from sand to sea. The resort’s green practices expand far beyond what guests see during their stay. Treating water in filtration plants to be reused for irrigation, sorting trash, using energy-saving light bulbs and installing automatic light control in public areas are just a few elements of the resort’s overall sustainability efforts. The complex even has a 3,200-square-foot vegetable garden, “La Huerta del Chef,” where vegetables, herbs and 10 different types of chili peppers are grown. Additionally, a reverse-osmosis plant purifies drinking water, and an on-site nursery produces 60 percent of the plants used in local reforestation. Vacationers can also visit an on-site ecological information hut to learn about the care of mangrove swamps, reefs and, of course, sea turtles. Ideally located on Mexico’s eastern coast between the sizzle of Cancun and the intriguing Tulum ruins, Barcelo Maya Beach Resort welcomes visitors with 24 diverse dining options, 21 lively bars and lounges, 10 gigantic swimming pools, three entertainment theaters, two kid-friendly water parks, a 20,000-square-foot spa, and world class convention center. For more information, visit www.barcelo.com. During the inauguration of the Baja California Vine and Wine Museum, Mexican President Felipe Calderón remarked that the museum will also operate as a convention center that will trigger further economic and cultural activity in the Ensenada-Valle de Guadalupe region. He hoped that both national and foreign tourists would visit it and discover the region’s wine-making tradition, a deep source of pride for Mexico. Calderón noted that the museum required the combined efforts of the federal government, CONACYT, the state government, and Casa Cetto, with a total investment of 76 million pesos. The president said that in order to support the industry, the Program to Support the Wine Industry (Proviti) was implemented this year, which will have a 50 million peso fund. The program will provide wine makers with access to support or financing of between 250,000 and 500,000 pesos to invest in production, investment and training projects, studies and consultancy. On tour in the state of Baja California, President Calderón inaugurated three stretches of the modernization of the Tecate-El Sauzal highway, which passes through the state’s popular Valle de Guadalupe wine region. The highway is now 12 meters wide, with two broad lanes and an emergency lane to enable people to drive easily. These measures are designed to reduce traveling times by an hour. The federal government’s investment in the modernization of this highway totaled nearly 540 million pesos. The president remarked that in addition to creating jobs for the residents of Baja California, reconstruction of the highway will contribute to the development of local economic activities, such as tourism, fishing and the wine industry, particularly in the Valle de Guadalupe, which produces extraordinary wines that will now be able to be transported to Mexico City and the rest of the world more easily. This development of the local economy translates into opportunities for growth, well-being and prosperity. During the current administration, several infrastructure works have been undertaken, including the Mexicali-San Felipe highway, the Ensenada highway linking up with the Tecate-El Sauzal highway, and the Tijuana-San Diego Border Crossing Checkpoint, scheduled for completion over the next few months, which will be one of the most modern in the world. The president concluded by saying that during the six years of his government, over 21,000 km of highways have been built or modernized, nearly as much as highways built during the past three administrations together. NEW YORK, Aug. 2, 2012 /PRNewswire/ — Interjet, Mexico’s second largest air carrier and a growing presence in the U.S.-Mexico market, today launched its first service from New York (JFK) to Mexico City. The daily flights add a third gateway city in the United States for Interjet, which already operates out of Miami and San Antonio. Highly respected for its extensive service throughout Mexico, New York represents the airline’s sixth international hub. In addition to the three U.S. cities, Interjet flies to Guatemala, Havana, and San Jose, Costa Rica. The JFK service departs from New York at 7:25am Monday through Friday and 10am on Saturday and Sunday. Return flights leave Mexico City at 4:40, arriving at JFK at 10:30 pm. To celebrate the inaugural service, Interjet is offering a round-trip fare starting at $349 . This promotional offer is valid for travel as of August 2 nd, and it includes two suitcases up to 55 lbs each until August 31 st.
Interjet earned its reputation as one of Mexico’s most successful airlines based on numerous passenger-pleasing flight and service features. Interjet is known for its high quality service at competitively affordable prices as well as its excellent safety record. With 35 new A320 aircraft, the youngest fleet in the country, the airline has put the customer first with such decisions as removing 30 seats to create maximum comfort for 150 guests as well as serving complimentary meals and premium beverages during flights between Mexico City and New York. Interjet also offers transferable tickets, an appealing frequent flier loyalty program, in-flight entertainment program, an unrestricted 20 percent discount year-round for seniors and special amenities for female travelers, including women-only toilets on all airplanes. In contrast with other carriers, there is no extra charge for passengers to select seats or check up to 110 pounds of baggage per ticket. Interjet does not overbook its flights and has no hidden fees in the ticket purchase prices; the price offered by the airline is what the customer pays, including all taxes. As it continues to broaden its presence in the international market, Interjet also has demonstrated its financial stability by continuing to invest in new equipment, recently completing the purchase of 20 Superjet 100 aircraft. INTERJET is a 100% Mexican airline which, in December 2011, celebrated its 6th anniversary by fulfilling a corporate commitment to provide high-quality air travel at an affordable price. Its current fleet consists of 35 state-of-the-art Airbus A320 aircraft with the latest in aeronautical technology. They are also the only aircraft of their kind in Latin America that are equipped with external cameras, which allow the passengers to see live take-off and landing from their seats. Interjet operates over 150 daily flights on 42 business and leisure routes, covering 26 destinations in Mexico and six international destinations – Guatemala, Havana, San Antonio, Miami, San Jose (Costa Rica), and now, New York. Interjet’s network also offers excellent connections to other destinations at the airport in Mexico City. For further information and reservations, consult www.interjet.com or call 866-285-9525. Cozumel, Mexico, –(PR.com)– If the Mayan prophecy is correct and the ancient Maya calendar ends on December 21 and a new cycle begins the following day, we can look forward to a new era of purification and spiritual transition. Presidente InterContinental Cozumel Resort & Spa invites guests to unlock the Mayan secrets to health, peace and abundance with a three-night stay with plenty of relaxing extras. In addition to three nights in a deluxe, Ocean View guestroom, guests who book the “Live the Mayan Experience” package will enjoy pampering at the luxurious Mandara Spa with a 50-minute massage, a Mayan Bath Ritual and an authentic, detoxifying Temazcal (ancient herbal steam bath) experience in which a local Shaman guides you through a cleansing ritual based on an ancient rite of passage. “Live the Mayan Experience” package is US$1,272 including taxes and gratuity and is available through December 23, 2012. Need more time to unwind? Extended nights with preferential rates are available. Set on a half mile of private white, sandy beach, surrounded by lush vegetation and just steps from the world’s largest coral reef, Presidente InterContinental Cozumel Resort & Spa is a tranquil oasis where families enjoy snorkeling direct from the resort’s beach or a bit of relaxation on your own private hammock. For kids, the complimentary Chiqui Club offers crafts, games and daily activities including iguana feeding and learning about eco-tourism in the resort’s on-site plant nursery. Scuba diving enthusiasts explore the world’s second-largest coral reef led by PADI-certified instructors with Scuba Du, Presidente InterContinental Cozumel’s on-property, Five-Star PADI dive center. Wake up to a delicious buffet breakfast at El Caribeño, a giant open-air, beachfront palapa, followed by a refreshing dip in one of the resort’s two pools. 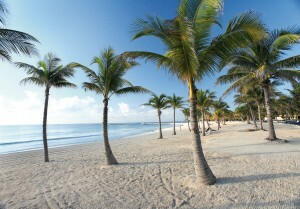 For reservations and information, call toll free from the USA (800) 327-0200 or visit www.InterContinentalCozumel.com. Travelers to Cozumel enjoy non-stop service from Houston, Dallas and Chicago.